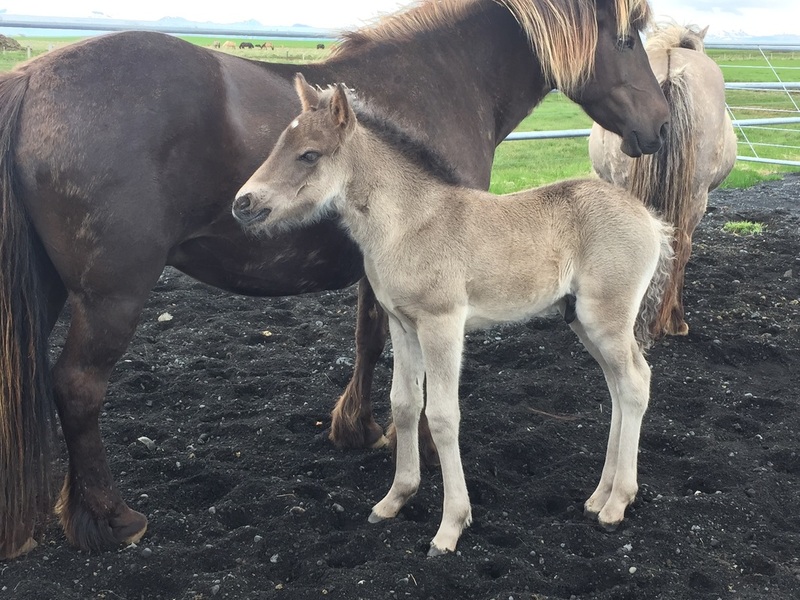 ​Sólon frá Heimahaga is a beautiful black stallion foal with a star, son of Konsert frá Hofi (8.72) frá and Sólný frá Hemlu II (7.97). Sólon was born on the 8th of June. Konsert frá Hofi (8.72) is the highest assessed four year old stallion in the world, he is also the only four year old stallion that has got 10 for tölt. 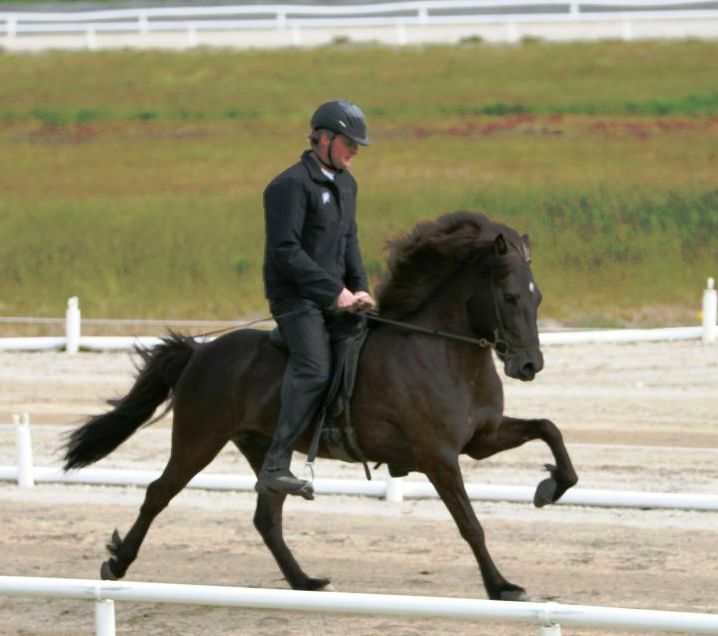 Konsert has 8.48 for Conformation and 8.88 for Riding Abilities; 10 for tölt, 8 for trot, 8 for pace, 8.5 for gallop, 9.5 for spirit, 9.5 general impression and 6 for walk. Total 8.72. 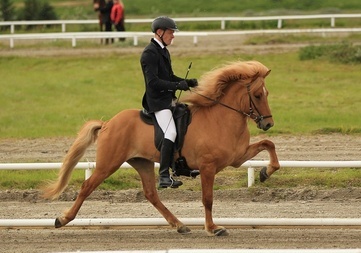 Konsert has also 9 for slow tölt and 8 for canter. 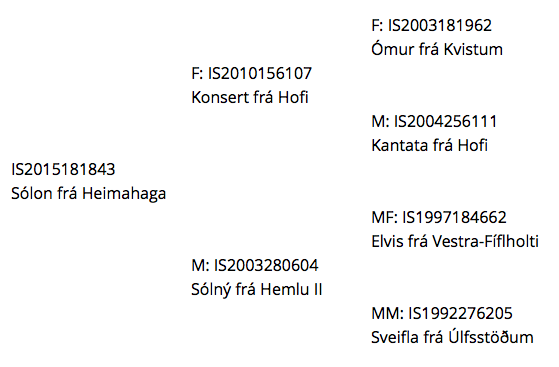 Konsert is son of Ómur frá Kvistum (8.61) and Kantata frá Hofi (8.26). 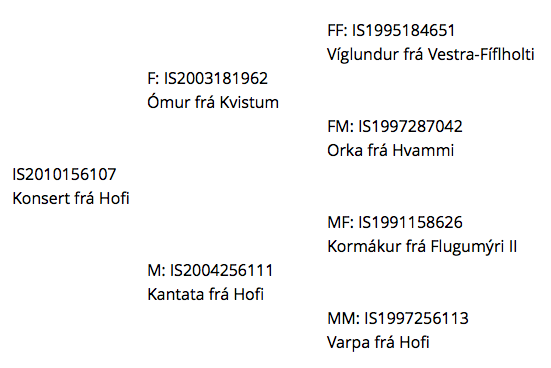 Ómur has 8.24 for Conformation and 8.85 for Riding Abilities; 8.5 for tölt, 8 for trot, 9.5 for pace, 8.5 for gallop, 9.5 for spirit, 9 for general impression and 7.5 for walk. Total (8.61). 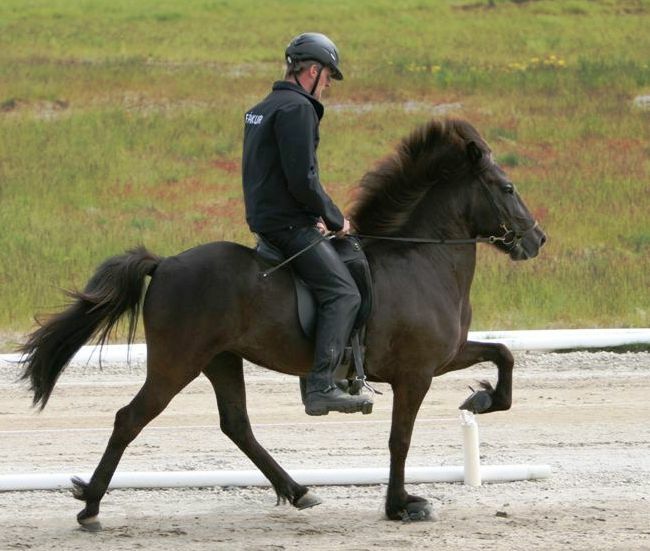 Ómur has also 8 for slow tölt and 7.5 for canter. At Lansmót 2014, Ómur got 1. price for his offsprings. 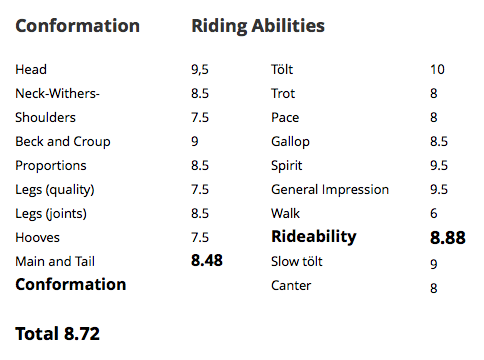 Kantata has 8.44 for Conformation and 8.14 for Riding Abilities; 8 for tölt, 8.5 for trot, 7.5 for pace, 8 for gallop, 8.5 for spirit, 8.5 for general impression and 6.5 for walk. Total (8.26). Kantata has also 7.5 for slow tölt and 8.5 for canter. 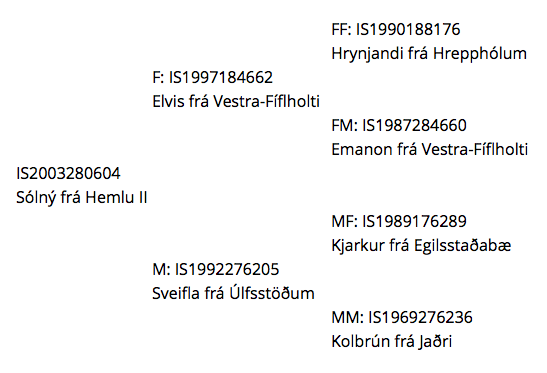 Elvis frá Fíflholti has 8.20 for Conformation and 8.39 for Riding Abilities; 8.5 for tölt, 7.5 for trot, 8.5 for pace, 9 for gallop, 8.5 for spirit, 8.5 for general impression and 7.5 for walk. Total 8.31. Elvis has also 9 for slow tölt and 8.5 for canter.